You’ve probably already come across Foundation, an awesome framework that allows you to use a collection of modular and flexible components to get your project from prototype to production quickly and easily. But do you know about the latest addition, “Foundation Building Blocks”? Our new short course, Getting Started With Foundation Building Blocks, will get you up to speed. Foundation Building Blocks are coded UI components that can be used in any ZURB Foundation project. They are not replacements for the default Foundation components, but supplements. 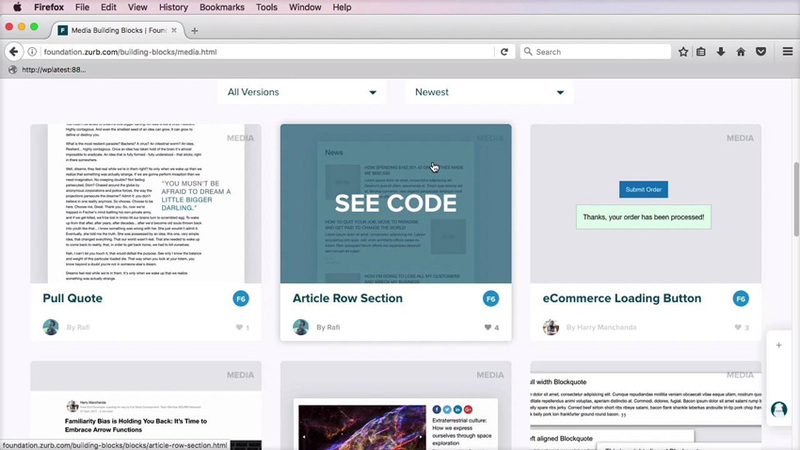 They include blocks like custom menus, social buttons, custom forms, and much more. In this short course, Envato Tuts+ instructor Adi Purdila will show you how to install these blocks and how to build a simple UI by using components made by both ZURB and the community. By the end of this course you’ll be confident in using Foundation Building Blocks in your projects, helping you save time and harness the full power of this framework. If you’re looking for a quick way to do more with the Foundation framework, check out the range of Foundation plugins and scripts on Envato Market.